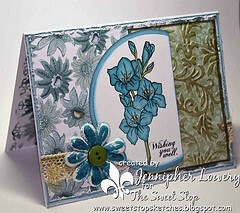 It's time for our weekly challenge at The Perfect Sentiment. The Challenge: create a "get well" card. Sentiment must be on the front. The Twist: do not use the words "get well". Get out those fun and clever sentiments I know that you all have. "Thinking of You" does not count as a twist on the get well sentiment. You don't have to do a fun get well card. You could use scripture from the Bible that pertains to healing. Whatever you fancy! I decided to sit this challenge out but here are some cards from my past that would work for this challenge. 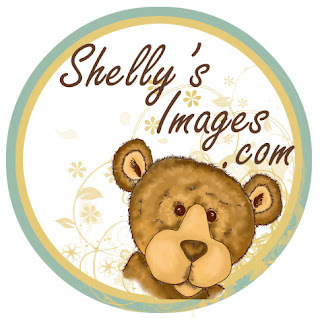 We are blessed to have our repeat sponsor Shelly's Images with us today. Shelly's Images will provide one lucky random winner with a free digi of their choice. So stop on by The Perfect Sentiment and show us how you would get well "without getting well". Both cards are extra pretty. Such a great idea for a challenge and your 'not' get well cards are fantastic! These cards are fabulous! Love the colors and design. I love your style of color and design. 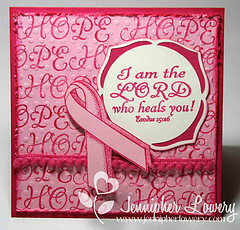 That breast cancer HOPE card is near and dear to my heart! Glad to see you're still at it!